Mete Tasin is a European Opera & Classical Crossover Singer, born in Würzburg, Germany and raised in Turkey. He became enamored with Music and Dance at a young age, showing great promise to his teachers. In his teenage years he decided that his passion was singing and he became solely focus on developing his voice. He soon began studying with the best vocal professors he could find both in Europe and the United States. Mete became a student of Prof. Güzin Gürel at Istanbul University State Conservatory and with Patricia McCaffrey at Brooklyn College (Master of Music). 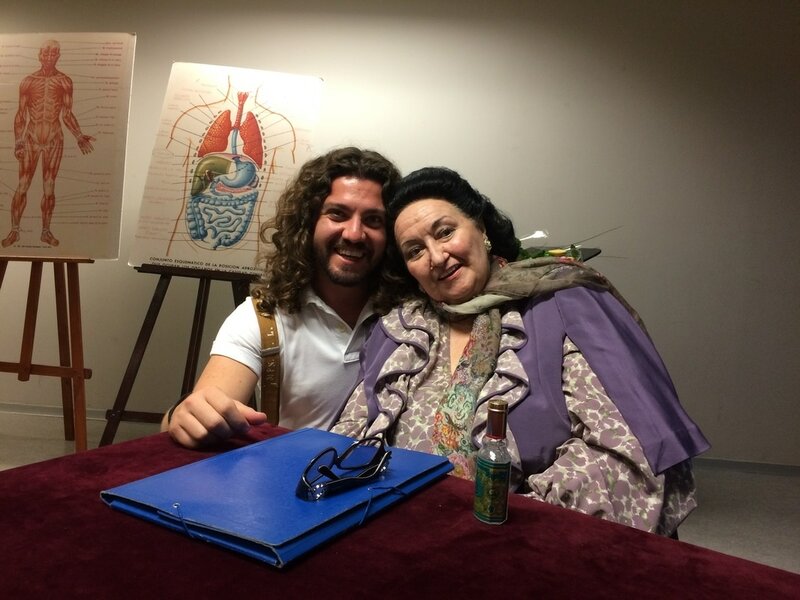 His voice made such an impression on world famous Montserrat Caballe during a Master Class that she personally invited him to Barcelona to study with her and Carmen Bustamante at the Connservatori del Liceu Barcelona. There, he earned a Master of Performing Classical Music. Mete's professional career began in THE USA, with roles in productions of Carmen ( Don Jose ) and Lucia di Lammermoor ( Arturo ). Since then, Mete has been in many leading roles in Turkey, Europe, and most recently, the United States including the lead role of Arlecchino in Pagliacci by Leoncavallo and Gastone in Verdi's La Traviata at the Opera San Jose in California. He has also represented the San Francisco City Opera by singing at Union Street and North Beach Festivals as a soloist. Recently he performed with the Aurora Mandolin Orchestra in San Francisco, and as a soloist at the renowned "Palau de la Musica" in Barcelona. Mete also performed the breath-taking role of Bizet Don Jose in Carmen at Mira Theater, Verismo Opera, and at the New York City Lyric Opera staged at Carnegie Hall in New York City. Mete is the quintessential leading man as he sang Tybalt in Gounod's Romeo et Juliette and Guillot in Massenet's Manon at Carnegie Hall and Symphony Space as a New York Lyric Opera Theatre Resident Artist. The multi-talented Mete not only composed music for Ali Baba and 40 Thieves which premiered in New York, he also played a Sultan role, which hailed “fabulous” reviews from critics and audience alike. Multi-lingual, multi-instrumentalist, multi-talented, Mete Tasin has collaborated with well known conductors and coaches such as: William Hicks, Joan Dornemann, Deborah Birnbaum, John Yaffe, Gaetano Colajanni, Pier Calmelet, Ibrahim Yazici, Serdar Yalcin, Gokcen Koray, Rengim Gokmen, Koji Kawamoto, Cesar Ulloa, Sheri Greenawald, Ricardo Estrada, Carmen Bustamante, Roberto Accurso, Mark Nicolson, Giacomo Aragall and Montserrat Caballe.